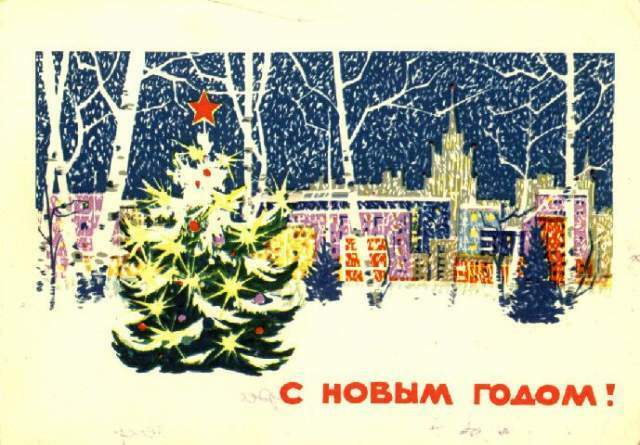 Boingboing had a cool post yesterday about Soviet “Christmas” cards. 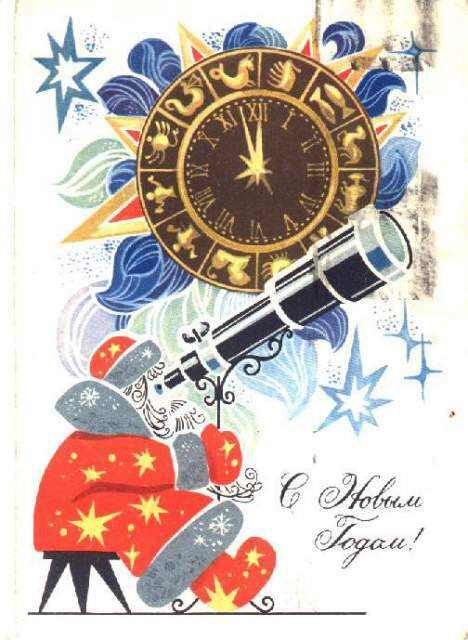 Actually most of the cards say “s novum godom”– “to the new year”. 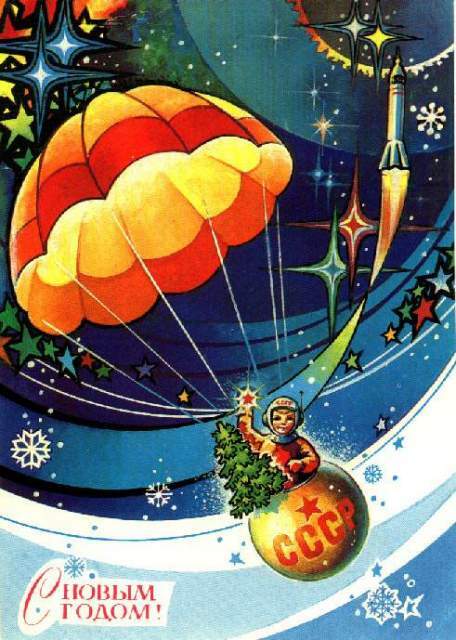 I love all the science and rocketry themes. 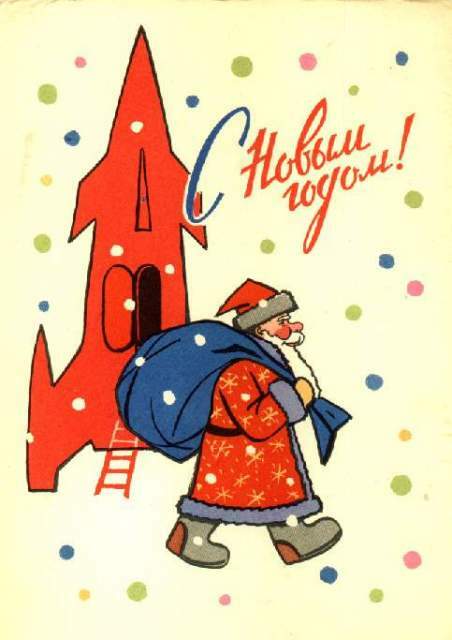 I also find it interesting how many things we associate with Christmas have been co-opted for a holiday the soviets found safer: New Year’s. You can find the original website for the cards here. Below are a few of my favorites, which can all be found at www.mazaika.com/postcard01.htm. 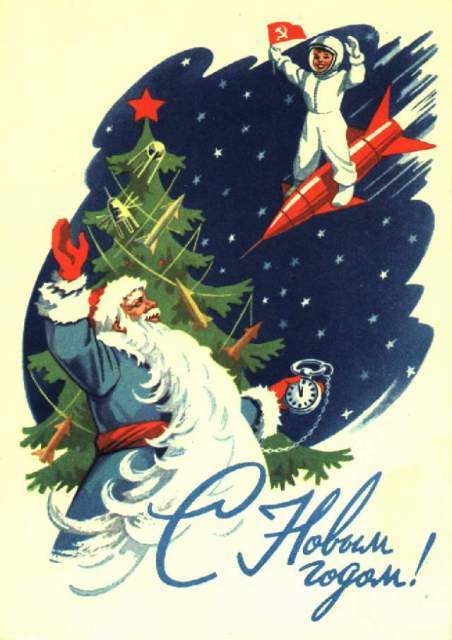 This entry was posted in Illustration, Style and tagged art, arts, christmas cards, holidays, Illustration, new years, outer space, post cards, rocketry, russia, santa, soviet, space, space race, vintage on December 26, 2012 by Vironevaeh.